Used to insure that parts and fixtures are thoroughly dry. Outer steel shell is insulated and fitted with a steel or stainless steel inner liner. 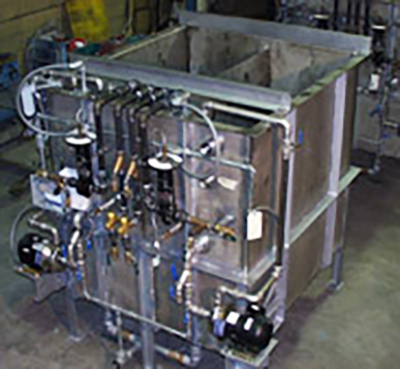 Steel, stainless steel and plastic lined tanks are used as wash tanks and for surface treatment of heat treated parts. 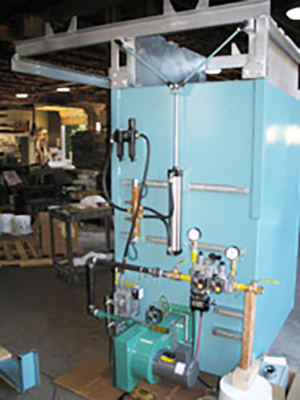 Tanks can be equipped with gas, electric or steam heating systems, air or electric agitators, level monitors, thermocouples, etc as required. 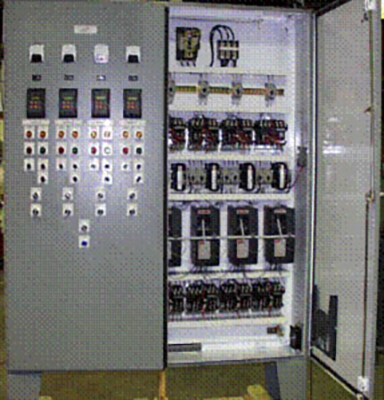 Custom control and switchgear designs built by our Control panel division Central Panel Inc.
Upgrades and repairs are available for older units. Power components such as current transformers, control voltage transformers SCR’s or contactors, motor starters or VFDs, circuit breakers, and all other components necessary to power your furnace. Indicating and control components including start, stop and cycle pushbuttons, relays, ammeters, and temperature measurement and instrumentation. Recovery of up to 93% of nitrate-nitrite salts lost during salt bath heat treatment. Consists of a reactor distillation vessel located at the furnace, conductivity sensor, flow control valves and a heavy duty brine circulation pump.